We recently published a post about the Top 5 expected smartphone of 2015 and Apple iPhone 6s and 6s plus was on the top of the list. 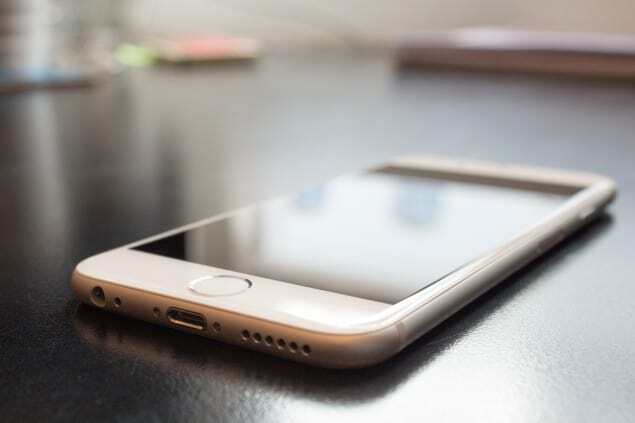 When it comes to Apple, there is a huge number of fans who eagerly wait for the next version of the iPhone and that is the reason for so many rumours and leaks on the Internet. So, after doing a full research, we have come up with this post in which we will let you know about all the expected features of Apple iPhone 6s and 6s Plus. Will It Be iPhone 6s (Or) iPhone 7? Apple is one company which strongly follows its tradition. After the launch of iPhone 5, the next model was named as 5s and there was no major changes in it. Apple is surely planning something big for iPhone 7 and there are very minimal chances that the next version would be called iPhone 7. Apple will make few changes here and there in 6s so that it can have enough to show in iPhone 7. So, the answer is, it would be iPhone 6s, not iPhone 7 most probably. If we consider last year, Apple has focused on launching two devices at the same time. First it launched 5s and 5c and then came the iPhone 6 and 6 Plus. Users loved the concept of two phones and there is no chance company will drop this pattern. Both the phones will have similar specs with a major change in screen size and minor changes in camera functions. So, yes there would be two phones again, 6s and 6s Plus. There are various rumours on the Internet that Apple will launch a 4-inch model and will name it 6C. Well, for this year, it is not true. Apple will stick to 4.7 inch (iPhone 6S) and 5.5 inch (iPhone 6S Plus) variants. There would be no changes in the resolution of the display. Although, it is possible that Apple will use Corning Gorilla Glass 4 instead of Glass 3, to be in competition with the likes of Samsung Galaxy S6 and HTC M9. While there are smartphones which are now equipped with 4GB of RAM, Apple is still using 1GB RAM, which literally fine for them. However, there are very bright chances that Apple will now use 2GB LPDDR4 RAM in its next model. A better and 15% smaller A9 chip is also expected from the iPhone 6s and 6s Plus models. All this will increase the speed of next iPhone by 25%. Will Apple Enhance The Camera? Apple is using 8MP camera in its models for a long time. Even iPhone 6 has an 8MP camera. However, it is expected that Apple will introduce a 12MP camera in its next variants. Apart from improving pixels, Apple will also use two lens system and optical zoom for delivering DSLR quality images. No doubt, this would be a major change or improvement in the iPhone 6s and 6s Plus. If you are an Apple Fan boy, you must have heard about their “Force Touch” technology being used in Apple Watch and new MacBook. This technology can detect how hard the user is pressing the screen and it will react accordingly. For example, a lighter press will select an item while a harder press will bring up a menu. Read more about Force Touch. iPhone 6 made headlines when few of the models started bending in a pocket and it was termed as Bendgate. So, to solve this issue of bending, Apple will surely use different casing material and will make few changes in internal mechanical design. It will be available in Rose Gold (or Red Gold) color too. If Apple follows the tradition, iPhone 6s and 6s Plus will be launched in mid-September and will go on sale from Early October. However, various internal sources suggest that Apple is ready to launch the device in August. Well, it’s now on Apple when will it unveil the next models. We can only wait for it and can make random guesses. Pricing is still a mystery and will clear out when the phone will be launched.